Fact: Everyone loves biscuits. Right? I mean, even those who might say they don't- it's probably because they think they shouldn't; because biscuits aren't exactly healthy. But deep down.... they love biscuits. I've gotten a lot of great feedback on my Cauliflower Biscuits with Bacon & Jalapeño recipe, and it's become the #1 post on my blog by far. As much as I love those biscuits-- I do agree with some of the commenters who have compared them to a "jumbo tater tot", "crab cake", or "potato pancake" in terms of texture. Not that any of those are a bad thing; just not exactly like a true biscuit. 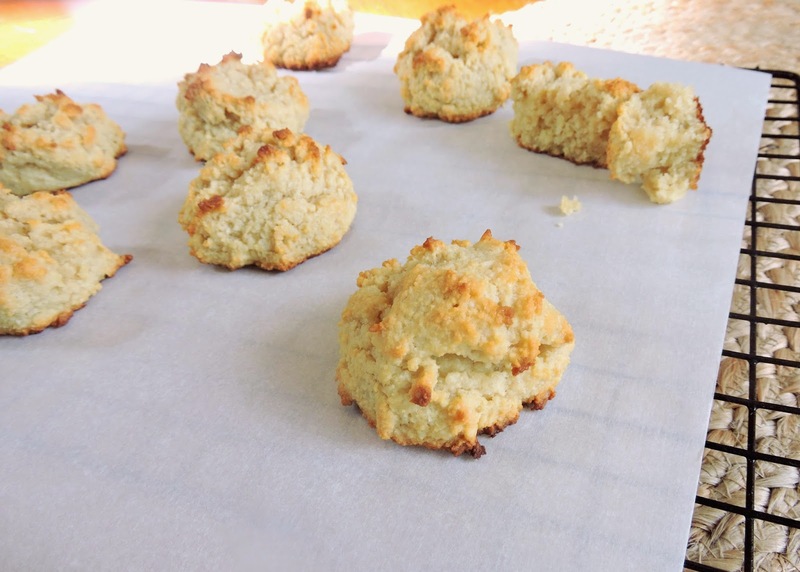 These Paleo Drop Biscuits, on the other hand, are 100% homestyle biscuits. 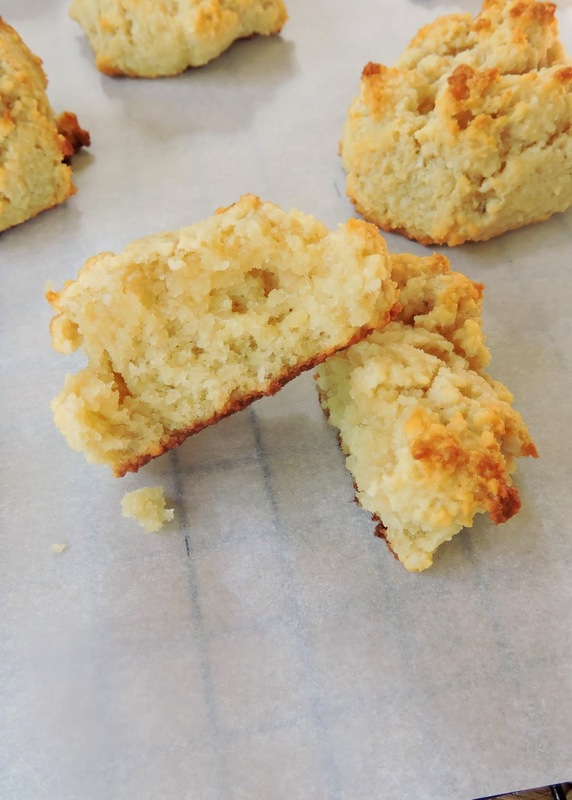 They don't taste like they're healthy, or like a Paleo version of a comfort food-- they just taste like biscuits: a lightly sweet & buttery flavor with a crisp outside and soft, moist inside. & Because they are homemade as opposed to a can or a boxed mix, they taste even better than any biscuit I've had. Try these for breakfast with sausage gravy (see my Biscuits & Gravy Recipe) or spread with a little of my 5 Minute Strawberry Jam. You could also slice them in half to make a breakfast sandwich- or any type of sandwich! These are also perfect for dipping in your favorite soup, chili, or stew. I love the simple biscuit recipe- but I think adding some 'extras' would be great too... try garlic or chili powder for something savory, or cinnamon & nutmeg for something sweet. Let me know if you try these out- and tag me in a picture on Instagram if you do! Enjoy! Add the dry ingredients to a large bowl. In a medium bowl, combine the wet ingredients. Add the wet ingredients to the dry mixture about 1/3 at a time, stirring until just combined. 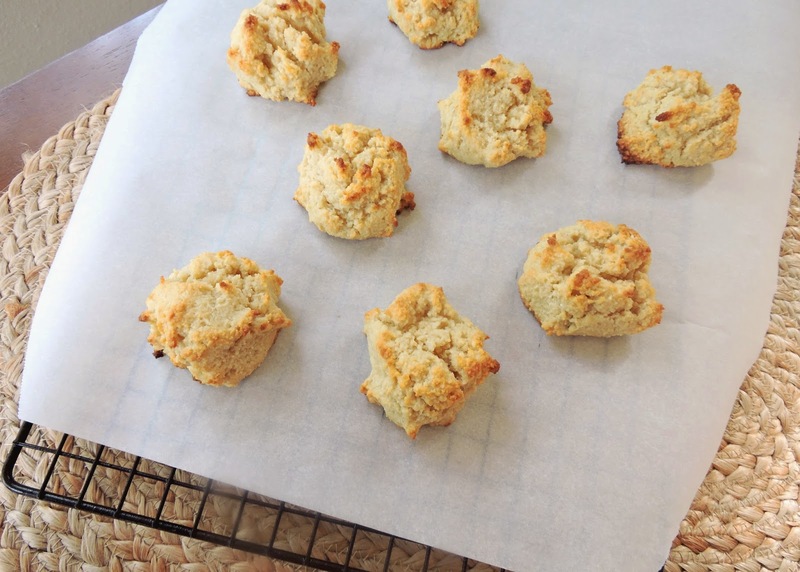 Line a baking sheet with parchment paper, and drop large tablespoons of dough to make 2" biscuits. Bake for 10-12 minutes, or until the tops are a light golden brown. Allow them to cool on their cookie sheet for a couple of minutes, and enjoy! 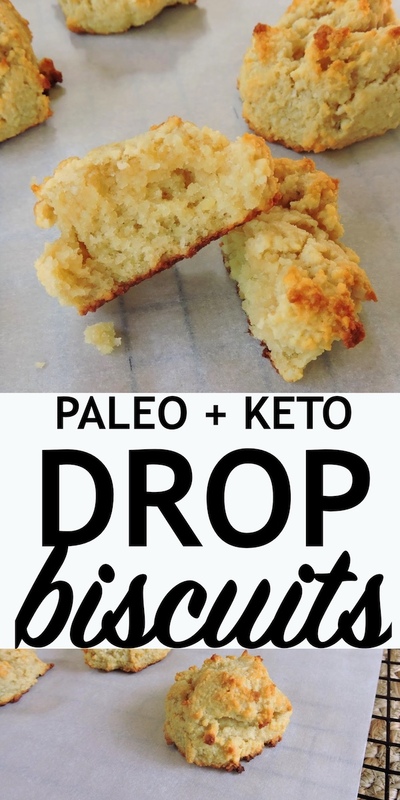 Best Paleo biscuits I have ever had. Taste just like the biscuits at Red Lobster. Thanks for the recipe Jessie. I'm so looking forward to trying these biscuits! Does the type of vinegar you use matter? I don't have apple cider vinegar! Absolutly amazing! I made them to go with stew and ended up just eatign them straight with grass fed butter. These look super easy to make so will definitely give them a try tonight! Can you please indicate whether they remain fresh for a couple of days or it's better to freeze them once cooled to retain their freshness? Many thanks! Hi Abigail! They remain fresh for a few days, & are best stored in the refrigerator. Enjoy! I just made these using Trader Joes almond meal (which I don't think was correct) but, they still turned out awesome! Had a yummy sweet flavor! Going to get almond flour and make again. I actually felt like I was eating bread, which a hadn't had in so long! These were also super simple to make! Thank you! Have you ever tried them without adding a sweetener? You think they'd be good without the honey? I'm intolerant to almonds, so I tried subbing coconut flour and upping the wet ingredients and... failed miserably. Any suggestions for subbing out the almond flour? Absolutely delicious! I added two cloves of puréed garlic to the recipe, we LOVED them. I will be making them again and again, thank you so much! Modified with coconut flour, small amt of tapioca flour, flax egg, spices. It is a staple for my daughter who has digestive issues. Often we triple the batch and freeze them. Thank you for this recipe. Wow I'm addicted. I've made them 3 times now and the first time they were too liquid-y and ran too much but the second time I used more dry and also had a courser almond meal and it was perfect! Thank you so much for this recipe! Approximately how many biscuits does this recipe make?